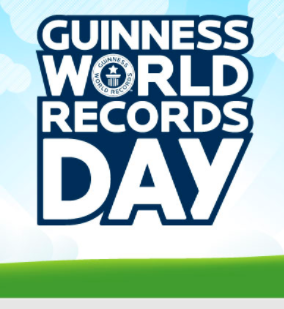 November 9 was Guinness World Records Day. It is a day celebrated annually where people around the globe get together to break world records. Some of the records that were set are fastest speed in a body controlled jet engine powered suit (UK), highest upward basketball shot (USA), most soccer ball rolls from eye to eye in one minute (Japan), largest hula hoop spun (Japan), fastest time to travel 20m in a contortion roll (China), and many more. You can watch videos here showing 3 of the records.